The options you have for both leisure and nightlife in Chalkidiki are many. However, we gathered for you the best places so that you are informed at any time for your entertainment. Trendy cafes, bars and summer clubs give their own mark on your vacation. One of the most famous open air places in Chalkidiki, Spitaki Cocktail Bar, located in Kallithea, on the Kassandra peninsula, and promises unforgettable summer evenings. Besides insular aesthetics and the atmospheric environment, the youthful and eclectic audience chooses the super informed and creative cocktails. Tip: The Spitaki stands for recognized bartenders behind the bar and the events with guest djs. In a total white and summery environment, there where the heart of entertainment beats in Chalkidiki, in the bustling Kallithea, you can find the dear to all Angels club. Relaxation and entertainment that offers to its patrons, combined with excellent cocktails and dance music, the first rank in the choice of people who choose Chalkidiki for their summer holidays. Tip: The strong cards of the club is the famous djs. The Oinochoe, the container that the ancient deposition wine, gave its name to this new haunt of Afitos and only by chance is not. The Oinochoe Wine Bar in the heart of the village, before being made into a sophisticated wine bar-restaurant, hiding in the area of the treasures of the past. Among those brought to light by the excavations of 2000 included an ancient jug, which you can admire today. If you are lovers of fine wine, the Oinochoe will surely become your haunt. The beautiful space, with stone starring and feel respectful and not deviating from this Afitos, will win you over at first glance. Outside there are tables where you can sit to gaze at the perantzada. On the first floor we recommend you to select the tables on the terrace to have a view from on high. His list of honors Greek vineyard, with 90% of the labels come from Chalkidiki, many of which are actually produced in Afitos. 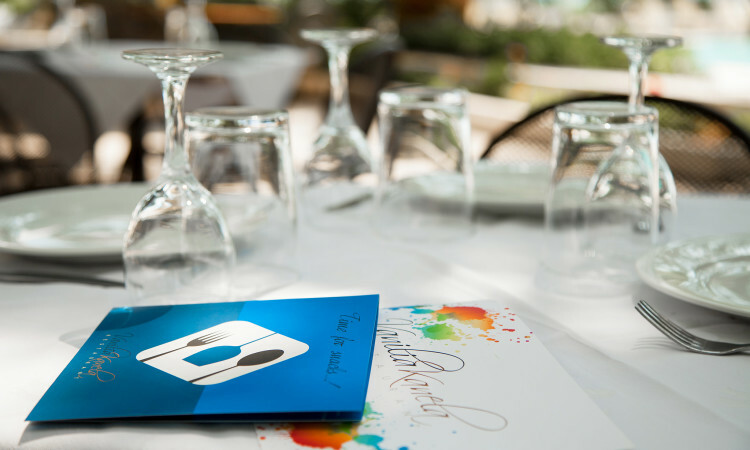 Will delight you with its modern Greek cuisine, which stand out for their creativity and use Greek products. Complete your order with delicious varieties of cheese and sausage from all over Greece, authentic Italian pizza and seafood extinguished the wine you choose to drink. Tip: Visit the Well of Afitos on the ground floor and browse the impressive cellar, which in fact made and tasting (ask details from the shop). The Sushi is located in Pefkohori beach and well worth a visit, simply because there beats the pulse of fun. welcomes you from early morning to enjoy your coffee while gazing at the sea. The night turns from lounge haunt a source of fun. The music volume goes up, djs parading on the decks, crowd dancing and time stops. Enjoy! Tip: Here you can listen to foreign and Greek hits. It offers free WiFi. The Nono is one of the best clubs in the region with loyal patrons who rely entirely on their fun. Besides carefully prepared and atmospheric space and the positive climate that prevails here, is famous for its highly successful events. Tip: Every Thursday organized by the Prison Stories Dance Show, every Friday the Greek Fridays with Greek music and every Saturday Andrianos Live. This is one of the most hot summer night clubs in the surrounding area. The Ahoy is located in the heart of nightlife in Kassandra, Kallithea, and promises to make your nights memorable during your stay in Chalkidiki. Foreign and Greek dance music hits the pace for a party that lasts until dawn. From the decks of each year parade important djs, while the events of the time they have left. 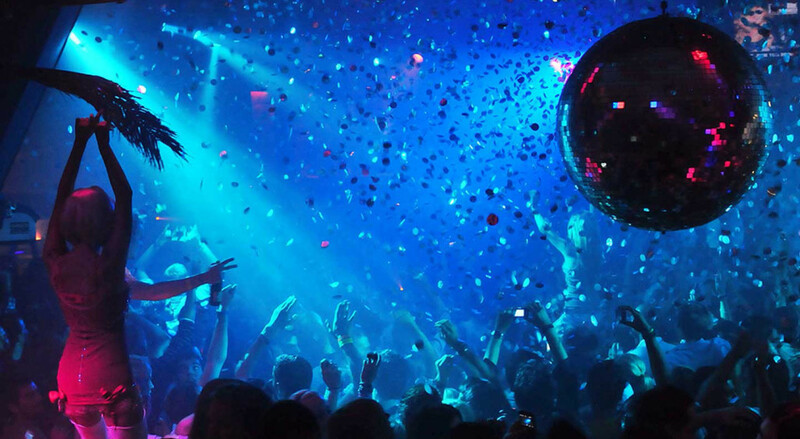 Tip: Organizes loud events with guest djs and live performances, that only successful can be characterized. 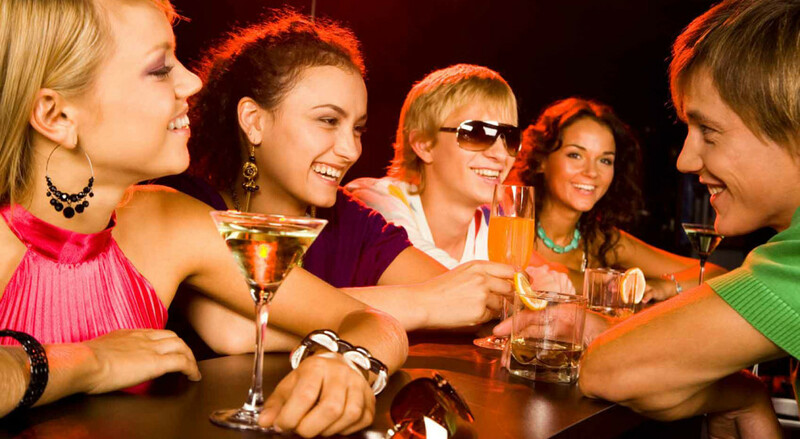 Skala Fourka, where concentrates the nightlife of the region, Opal Bar is a place to be for your enjoyment. In the sophisticated and atmospheric open air space has tables and stands and manages to grab the attention of everyone in Fourka. The only certainty is that if you get together again here, you will want to return. The Opal is perfectly interwoven with the summer, since the soul, disco, house and dance music to keep the mood always high, while the cocktails are the best I will try. Tip: The list of cocktails renewed every 10 days with recommendations prepared by the experienced staff. Try them! The Afros Bar is a relaxed meeting place in the central square of Chanioti village you will love if you appreciate the simple and authentic shops. You can visit it from early morning until the early morning to enjoy coffee, refreshing drinks and delicious cocktails. The list of cocktails is truly unbeatable and able to win even the most demanding. Highlight the list is the ice cream. The evening will lure you here the possible musical selections and gay friendly character! Tip: In the area of Afros Bar you can watch games. Fixed value of entertainment in this region for 30 years is the Kahlua in Pefkohori. This, in addition to the authenticity, due to successful lives organized in a very regular basis, with young artists, like Elijah Kampakaki, Dimitri Karadimos, Panagiotidis Themis etc. Tip: Get the live and the events of the the facebook page. In the most beautiful village of Kassandra in Afytos, there is an all day long cocktail bar-cafe which will win you from the first moment. You will not just find in the heart of the village, as they will need to climb some skalopatakia turning right at the center of the village (there are signs that will help you). After hiking about 2 minutes you will see a wonderful place, where stone plays a leading role and nature conspires to love him. The Vento is divided into levels and the only thing you have to do is choose one of the graphics of tables where you can enjoy your coffee, drink or cocktail. Furthermore, you can accompany your drink and discussions with food finger. Μετάφραση Google για Επιχειρήσεις:Εργαλειοθήκη μεταφραστήΜεταφραστής ιστότοπουΕργαλείο αναζήτησης αγορών. Tip: The list also includes a number of suggestions for food, such as club sandwiches, toasts, burgers etc. If you search for a nightlife haunt Chanioti Halkidiki, the Mystique, the main road will cover you completely. Relatively small, with positive energy and views the peratzada is a very good choice for your enjoyment. Opens daily from 7:00 p.m. and you can choose for a relaxed drink or cocktail but for overnight fun with mirth reaches soaring. 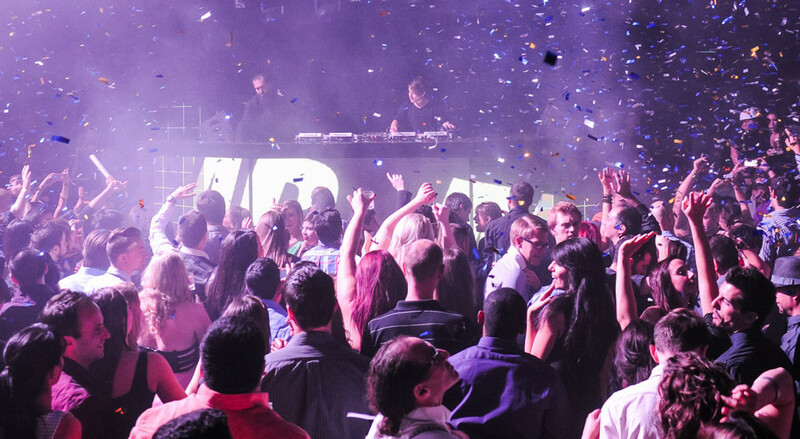 Tip: Every July and August at Mystique will enjoy events with guest djs. Shortly after entry of Polychrono, walking to the beach, you will find the Cafe Cafe, an all day long meeting point that can meet your every need. You can come here early in the morning for an energetic start enjoying a nutritious and rich breakfast, through too many options. Omelets, pies, cream pies, baguettes and sweets await you to make your day even more delicious. Breakfast is served until 14.00. However, all the hours here are delicious! 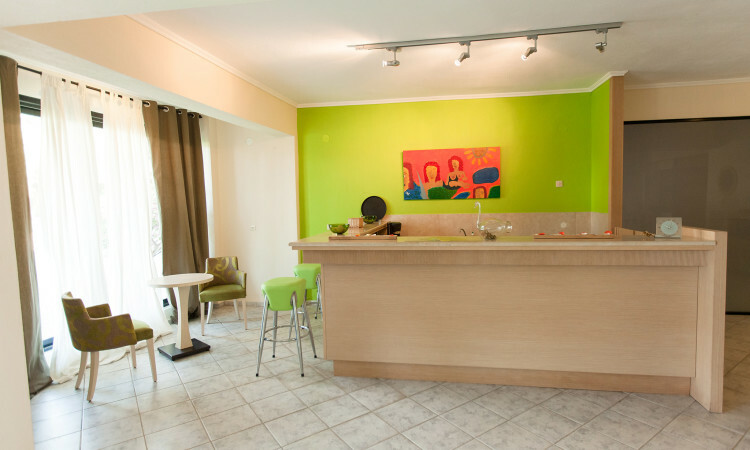 The Cafe Cafe is ideal stop for coffee, drink, fresh juice or dishes such as burgers, spaghetti carbonara etc. Best seller dessert is the chocolate souffle. Tip: Here you will find ice cream Kayak, and handmade. The Cafe Cafe is famous for its delicious crepes.